Over the past few months, BlogWorld has been hard at work creating a brand new eBook with everything you need to know about the hottest subject in social media right now – Pinterest. And now that we’re finished, we want to share that information with you – for free! 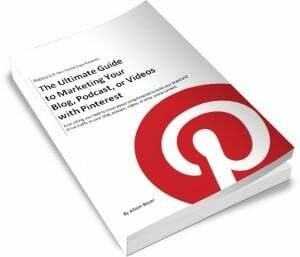 The Ultimate Guide to Marketing Your Blog, Podcast, or Videos is available starting today, and it doesn’t cost a cent. Simply click on the link to download your copy right now or, if you’re already subscribed to our newsletter, check your email! Tell all of your friends – they can download a free copy too! Click here to tweet a message to them using our hashtag, #pinbook. And of course, we also hope you’ll consider pinning the ebook as well so you can share it with all of your Pinterest friends. This eBook won’t be available forever, so make sure you snag a copy today! As a content creator, I’m a YouTube newbie. I’ve made the occasional video here and there, but I’m more of a consumer than a producer in that field. And maybe that’s a good thing for a post about what you should and shouldn’t do on YouTube. Of course, different viewers are going to like different things, but there are a few general mistakes that I see a lot of YouTube-ers making. Today, I’d like to share with you the seven deadly sins of YouTube – seven mistakes that will prevent me from subscribing to your page, checking out more of your videos or even finishing the video I’m currently watching. Pride may be a cardinal sin, but I do think you should take pride in your work! It only becomes a problem when you have an inflated sense of how awesome you are. Confidence is cool. Arrogance is not. 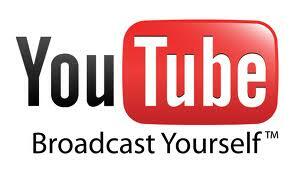 On YouTube, this pride manifests itself when a vlogger takes for granted that people will still know who he/she is. Sorry, but no one is that awesome. Every fan you have was a first-time viewer at some point, and even if your stuff is really cool, they probably aren’t going to Google you to find your blog or other non-YouTube profiles. If you’re lucky, they’ll subscribe, but unless you encourage them to find out more about you with a link in the description, that’s probably as far as it will go. Visitors to sites you own are much more valuable than viewers on YouTube, since you can get them to sign up for your email list, make purchases in your store, and more. The Bottom Line: Don’t assume people know who you are. Give newbie links to find more information about you. Whenever someone has anything resembling success on YouTube, about 500 other people try to replicate this success. It’s not going to work. Unless you’re doing a spoof (which can be quite funny), taking too much inspiration from another vlogger just makes you look like a copycat. Envious of another person’s success? You can have it too! You just need to come up with your own idea. The Bottom Line: Be original. YouTube is the bottom of the comment barrel. Seriously, I have no idea why, but on that site in particular, people leave the most vile, nasty comments! It’s easy to get sucked in by the trolls. Wrath takes on a whole new meaning when you virtually wrestle with someone calling you racist or homophobic names. But if you stoop to that level, it reflects on you too, not just the initial immature commenter. I’m not saying to avoid defending yourself, but before you respond to a negative comment, give it a few hours of thought. Often, people will come to your rescue so you don’t have to step in at all! But if they don’t and you feel compelled to reply to a troll, make sure the comment you leave in return is classy. The same goes for other YouTube videos. If you uploaded a cool video, I might click on your name to see where you’ve left comments on other videos. If you’re acting like a troll elsewhere, I’m not going to support the work you do. The Bottom Line: Mind your manners in the comment section and avoid feeding the trolls. If you’re not lazy and actually take the time to do your research, your video content will be much better. The Bottom Line: Everything is better if you take the time to do it right. Few things annoy me more on YouTube than those silly little bubble links popping up every two minutes. I know that you want more viewers and subscribers, and I can appreciate how important it is to remind people to check out your channel…but I don’t need this kind of crap interrupting the video I’m trying to watch. I’m less likely to share or subscribe if links keep popping up, because it makes you seem greedy – like you’re only interested in me watching your videos if I’m also going to check out all of your links. Save the linking and subscription messages for the end of the video instead. I just want to sit back and enjoy the content you’ve created before I make decisions about that kind of thing. The Bottom Line: Let me watch your video before trying to upsell me. Traditionally, we think of gluttony as eating too much, but this term can be used to describe any kind of excess. In videos, the excess that bothers me the most is length. If you’re creating videos, you need to learn to edit them well. This definitely doesn’t mean that every video you make needs to be under three minutes long. What it does mean is that you shouldn’t take 12 minutes to say something you could have said in half that time. Nothing will make me click the back button faster than someone rambling. So as you’re creating videos, keep this in mind and cut out anything that isn’t essential to the goal of your video. Shorter is better if you want people to watch to the end. The Bottom Line: Learn to edit your videos to keep the time as short as possible for your content. Lastly, we have everyone’s favorite sin: lust. In videos, I actually think most creators don’t have enough lust! Okay, not that kind of lust. More loosely, lust means passion, and I see a lot of videos where people just don’t really care about what they’re recorded. The reason someone like Jenna Marbles, for example, is so popular is that she is passionate about what she’s talking about. You don’t even have to be covering a controversial subject to show passion for your topic. Even a how-to video on someone boring can be made better by a host who’s clearly excited about the topic. If you don’t care about what you’re doing on camera, why should I? The Bottom Line: Be passionate about your video topics. After receiving 4,500 hours of video from 192 countries, YouTube’s Life in a Day project is now available to watch free of charge on YouTube. On July 24, 2010 (do you remember what you were doing that day? 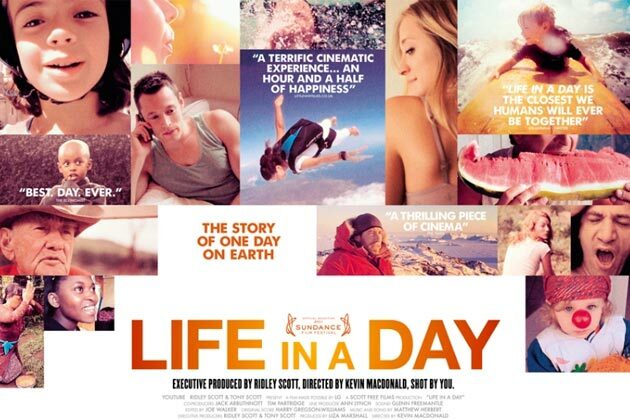 ), thousands of people recorded video snippets of their lives to take part in YouTube’s Life in a Day project. After being shown at Sundance, Berlin, SXSW and Sydney film festivals, “Life in a Day is finally coming home to YouTube—in its entirety, for free” says YouTube. The film is about 90 minutes long and available with subtitles in 25 languages. It’s received great praise from publications such as The Times of London and The Washington Post who called it “a profound achievement”. A few things you’ll see include a Korean man traveling the world on his bicycle, a shoe shine boy in Peru, a family dealing with cancer in Chicago and a Japanese man who is a single parent taking care of his son. I love what the creators say is the purpose and message of this video – CONNECTION. It doesn’t matter where we live, what language we speak or how much we have in our bank account, we all need and want to connect with others. It also goes to show that we are all dealing with the same problems and the same ordeals of life. The same things make us happy. The same things make us sad. This big world we live in is actually quite small when you really stop to think about it. If you have 90 minutes to spare, or heck – make the time to watch this movie. It’s worth it.